(Halifax, NS - October 1, 2010) - A Bathurst mother who took her three year fight for safe student transportation to the Federal Minister of Transport yesterday is not part of a class action suit launched against Ford Motor Company. 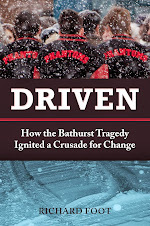 "I want to clarify that I have never been, am not now and never will be part of a Class Action lawsuit against Ford Motor Company," said Hains, who lost her son Daniel in a 15- passenger van collision that took the lives of six other Bathurst High School basketball players and the coach's wife on January 12, 2008. "I am focussed on one issue only: the safe transportation of Canada's youth and I remain committed to that goal." Hains was in Halifax this week lobbying the federal and provincial Ministers of Transport during their annual Council of Ministers meeting when it was announced that another mother, Stella Gurr of Nanaimo, British Columbia had launched a class action suit against Ford. Mrs. Gurr's 26 year-old son Michael, was killed in a 15 passenger van roll over outside of Brandon, Manitoba. Hains and five supporters met privately with Federal Minister of Transport Chuck Strahl as well as the Ministers of nearly every province in Canada to discuss the preliminary results of a 15 passenger safety review that was discussed by the Ministers this week. Hains' group, made up of industry experts, professional school bus drivers and safety advocates put forward a number of significant proposals to the Minister and Hains says they were warmly received. "I feel that we made a connection with the Minister, Chuck Strahl, yesterday and that he was truly sincere in the commitments that he to a national approach on student safety," said Hains. "Although I know we have a long road ahead, I truly believe if he follows through on his promises to us yesterday that we have reached a turning point in the history of youth transportation," said Hains. 1. to recognize Multi Function Activity Buses (MFABs) as a sub-category of school buses. 2. to direct Transport Canada staff to make contact with the Canadian Standards Association (CSA) and take the necessary steps to recognize in the federal standards the MFAB as a sub-category of school bus. 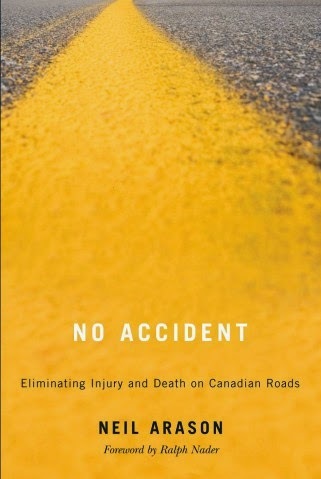 3. to request that the Provincial Ministers take the necessary steps to amend the Provincial Acts and Regulations to ban the use of 15-passenger vans as a mode of transportation for youth. This ban would include students participating in extra and co-curricular activities, day cares, pre-schools, youth clubs and organizations that are responsible for the provision of transportation to the youth of our communities. 1. Conduct a crash-worthiness test on 15 passenger vans. 2. Consider who will be driving MFABs, either volunteers or professional, Class 2 bus drivers in the safety review of 15 passenger vans. 3. Make the final report available to the public upon completion. 4. Keep Mrs. Hains and her group aware of any progress made on the 15 passenger safety review. 5. Appoint a political and a bureaucratic liasion from within the Federal Department of Transport to communicate directly with Mrs. Hains and her group about any progress on the file.